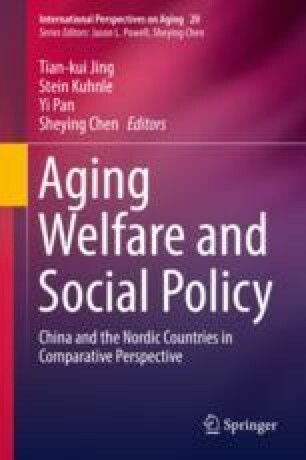 This chapter provides an introduction to the historical and comparative study of aging welfare by putting related issues in perspective in order to maintain a comprehensive understanding of the changing fields of aging, family, community, and social policy. Going beyond a current trend of “aging in place” (AIP), it reviews community care that once dominated social policy dialog in the West (particularly British Commonwealth), as well as community service that was once regarded as a main solution to the social issues of reformist China. The case of the United States is also highlighted by reviewing a scholarly interest in social support. By citing America’s “non-system” of community support for disabled elderly persons, the article recognizes an outstanding feature of AIP, that is, the “buy-in” from industry or the commercial sector in terms of its role in promoting aging at home. Other key social policy issues as seen in previous debates that baffled policy-makers in various countries, however, remain to be addressed in the much changed environment of the twenty-first century. The chapter is amended and expanded from an introductory piece for a Special Issue of Ageing International on Aging in Community (Chen, 2012).